A Genuine Multigeneration Australian Labradoodle puppy breed selectively for temperament and health. One that has been loved, handled, socialized, stimulated and nurtured in a family environment, to prepare the puppy for a loving home and the wonderful world. A puppy that is socialized with littermates, adults, and, under our watchful eye, our three children until 8 weeks of age, at which time the puppies will then travel home at 8 weeks of age. Extended Stay is available (ask for more details). A puppy who is socialized with people of all ages, from Great Grandmother to the youngest grandchild. A puppy who has been temperament tested to ensure the best placement with the Forever Family. 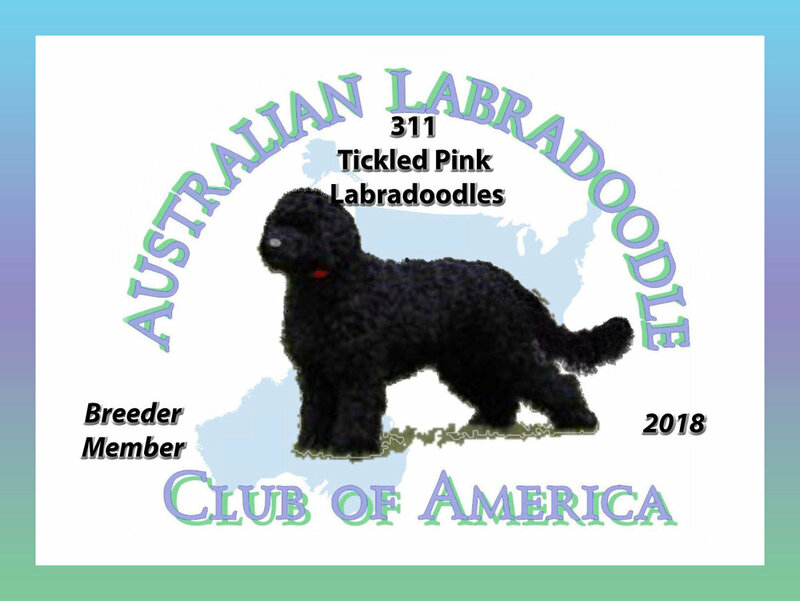 Tickled Pink Labradoodles will provide each new puppy owner a lifetime of friendship, guidance and support in raising training and loving their newest family addition. The adoption fee of a companion puppy is $2850, plus applicable sales tax and delivery fees. Please complete our Online Puppy Application by clicking here. You will be contacted and begin receiving pictures and updates via email, when the puppies are born. If there is not apuppy available, you will be moved to next list. Full payment, in the form of a Cashier's Check, is due at the 7 week visit. 7-8 weeks families visit and puppies are matched with their families. Payment is due in full when the family/puppy match is made.